Hilda Kean is a historian. She has researched and published widely on both public/cultural history and the history and representation of non-human animals. Previously serving as Dean of Ruskin College, Oxford she is now a visiting professor at the University of Greenwich and an adjunct professor at the University of Technology, Sydney. She has served as an advisor for the Oxford Centre for Animal Ethics and Minding Animals International and as associate editor (history) for Society and Animals. Her works on animals include articles published in Antennae, Anthrozoos, History Workshop Journal, Society and Animals and in many collections. Her book Animal Rights. Political and Social Change in Britain since 1800 (Reaktion Books 2000) critically analysed campaigns in the interests of animals over two centuries. Her recent work has focused in various ways on animal death. She is interested in the way in which animals are memorialized and in the developing practical work of the Green Pet-Burial Society and Family Spirals™. Articles in Animals and War (Brill) 2012 ed. Ryan Hediger, and Lest We Forget (History Press) 2011 ed Maggie Andrews, Charles Bagot-Jewitt & Nigel Hunt analysed memorials for animals killed in war. Other recent works include “Human and animal space in ‘historic’ pet cemeteries in London, New York and Paris” in Animal Death (University of Sydney Press) 2013 ed. Fiona Probyn Rapsey and Jay Johnson, and “Remembering and forgetting the animal dead of the Second World War” in Mourning Animals (Michigan State University Press) forthcoming 2015 ed. 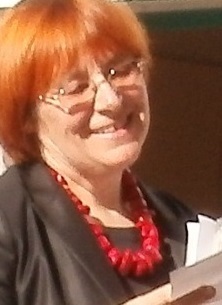 Margo DeMello. She is currently writing a book to be published by University of Chicago Press on the cat and dog massacre on the Home Front in Britain during the Second World War – and the subsequent animal-human relationship.